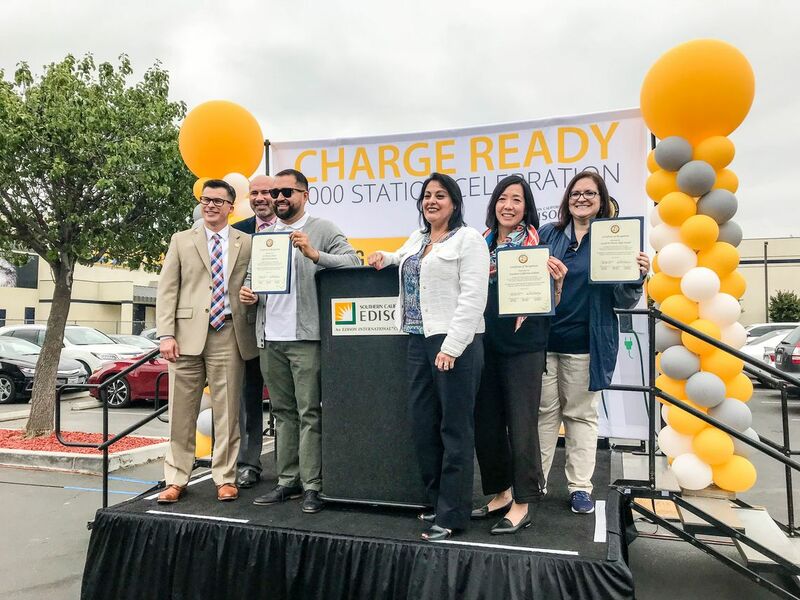 The 1,000th charger was installed at South El Monte High School through Charge Ready, SCE’s pilot program to add EV charging stations at locations where people leave their cars for the day. These locations include workplaces, public parking lots, hospitals and destination centers, as well as apartment and condominium complexes. Now with the Charge Ready Home Installation Rebate Program customers will have even more charging options. The program helps residential customers offset the cost of installing infrastructure that can lower average charging times to 5 1/2 hours or less depending on the car make and model. The faster charging, or Level 2 charging, consists of a professionally installed charger connected to a 240-volt AC outlet, the kind commonly used by washers and dryers. With more vehicle and model choices and longer driving ranges, more Americans are making the switch to EVs. One in five Americans now say they are likely to buy an EV as their next car, according to AAA. Those EV shoppers need convenient charging, Sloan said. The home installation pilot offers two different ways to save. The standard option, which offers a rebate of as much as $500, is for eligible customers who want to use their existing meter to charge their EV using a Time-of-Use rate that applies to their entire home. The rebate covers costs such as permits, materials and hiring a licensed electrician to install a 240-volt circuit and the Level 2 EV charging station. 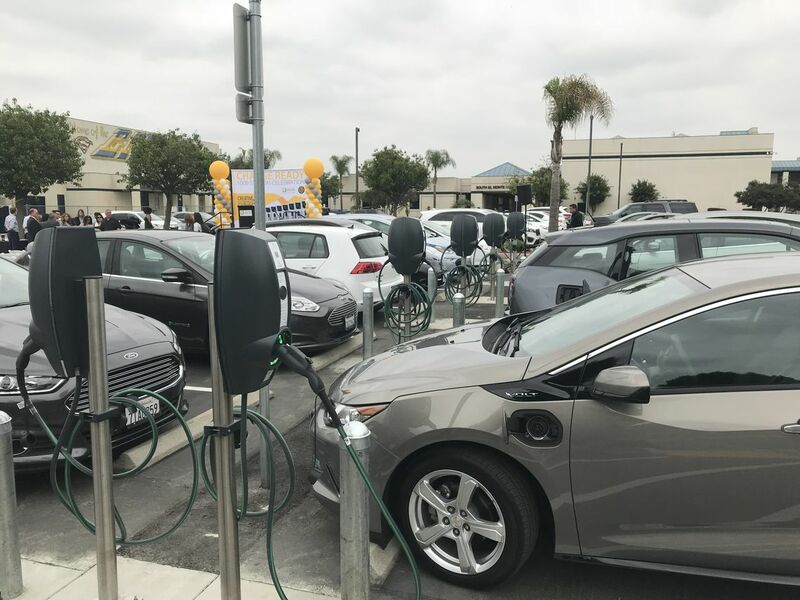 The other option, which provides a rebate of as much as $1,500 to eligible customers, requires the installation of a Level 2 charging station and a new dedicated meter that the customer must use to charge their EVs. 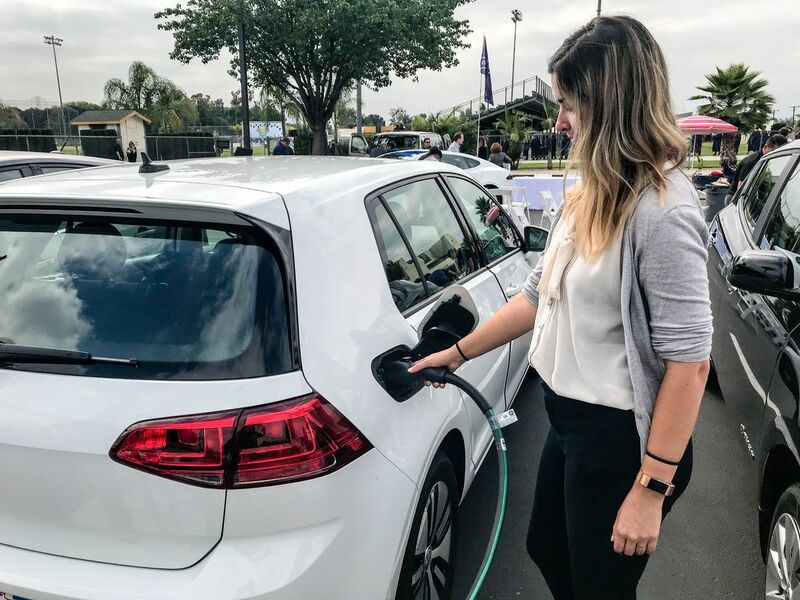 This option may provide customers with the lowest cost to charge their EVs — SCE’s Time-of-Use rate plan that applies to EV charging only (TOU-EV-1). Similar to the $500 option, the rebate offsets the costs of the needed permits and installation of infrastructure and charging equipment. Purchase or lease an eligible EV within six months of applying for a rebate. Call 1-800-4EV-INFO to consult with SCE regarding the electrical upgrade and enroll in an eligible Time-of-Use rate. You can also change your plan online by using the Rate Plan Comparison Tool. Hire a licensed electrician of your choice to perform the necessary electrical work. Apply for the rebate through the Charge Ready Home Installation Rebate website. Once approved, a check will be mailed to the customer within a few weeks. To qualify for the rebate, customers must have an active SCE account, use a licensed electrician, have at least one dedicated parking spot or garage and participate in an eligible TOU rate for two years. The Charge Ready Home Installation Rebate Program and Charge Ready are just two ways SCE is making it easier to drive an EV. The company has also partnered with BMW to offer customers and employees a $10,000 discount on the purchase of a new BMW i3 or i3s through July 31. And, the Clean Fuel Rewards Program provides $450 rebates to customers who purchase or lease a new or used EV.